After a long break we've again started our interview series on MbaFrog.Com. 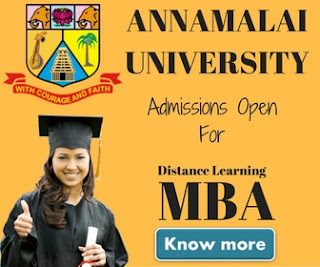 As you must be aware in this section we interview students who are pursuing distance education courses from various distance learning universities in India. In past we've interviewed some of the students who were doing a distance learning course from some top universities in India and try to know how they feel about their university. In our interview series we had interviewed Hina Singh - A Symbiosis MBA Student & Manish Sinha - An IGNOU Student. Today we have on board Mr.Tausheem Shakil, who is a software engineer by profession and love to code in Microsoft's dotNET framework. 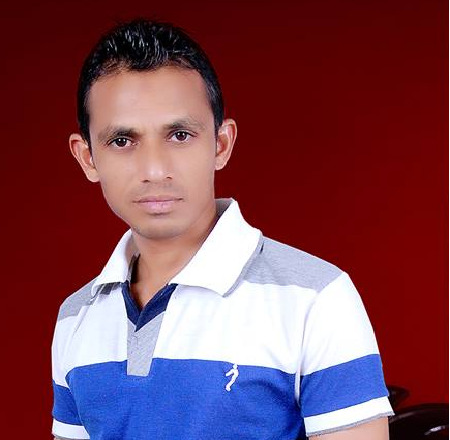 Mr.Tausheem is pursuing a distance learning MCA program from Punjab Technical University. During the interview session MBAFROG team asked many questions from him to get his true feedback about the university. Hope the post will help you know Punjab Technical University Distance Education even better. Here are the questions that we asked to Mr.Tausheem Shakil. Q.1 : Mr.Tausheem Thanks for giving your precious time to MBAFROG. Kindly tell something about your qualification & working experience to our blog readers. Ans: I'm a science graduate and have done M.Sc IT from AAIDU. Currently i'm working with an IT company as a senior dotNET developer. In total i'm having 5+ years of experience in computer programming. Along with my job i'm also pursuing MCA from PTU in distance learning mode. Q.2: Why did you choose PTU for your higher education? Ans. Frankly speaking i'd heard many good things about PTU in past and i really liked the syllabus of PTU when i attended the counseling session at one of the PTU study center. Q.3: Now how many semester you've completed so far? Ans: I got the admission directly in 5th semester through PTU lateral entry system. As i mentioned above that i already has a 2 years M.Sc IT degree so they offered me a direct admission. As of now i've completed only one semester i.e 5th semester and second semester i.e 6th semester is about to be completed soon. Q.4: Up till now how is your experience with PTU? Ans: I don't want to say any bad about the university but frankly speaking my experience with PTU is not good. I appeared in 5th semester exams in May 2013 and i got my result after 5 months in November 2013. I'm still awaiting a hardcopy of my marksheet since almost a year. Q.5 We know many student were suffered that time as PTU had to postpone their exams. Apart from this incident did you faced any other problem with PTU? Ans: No, Apart from this i didn't face any other problem with the university. I got the study material at the time of interview only and i also get all the information regarding examination & viva on a timely manner through SMS and through PTU official website and my study center also keep me updated about the same. Q.6 How do you think MCA from PTU helps students in their career? Ans: I find the syllabus updated as per the current IT industry. It helps students excel in their programming skills. At the end of the course all students are required to submit a project report which is really helpful. 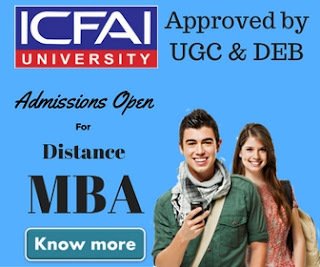 Overall i would say MCA from PTU is really helpful for anyone who wants to pursue a higher degree in computer application. Q.7: Will you recommend our blog readers to take admission in PTU? Ans: Although i faced some problems with PTU but i really find some of the things really good in PTU, specially the syllabus. I've heard that PTU DEC approval is pending, if they manage to get that approval, i'll defiantly recommend people to get enrolled in PTU. I hope things will come on track very soon. Q.8: One last question, What is the easiest mode to get admission in PTU distance learning courses? Ans: PTU has one of the largest network of study center in India for distance learning courses. You can easily find one near by in your area. Just visit the study center and a counselor will guide you through the admission process. Submit the required documents with Fee and you can get an admission in PTU. Hope this interview must have cleared many doubts you had in mind about PTU distance learning MCA program. If you want to ask anything about PTU MCA or want to get interviewed by us like Mr.Tausheem Shakil, feel free to use our contact us form.